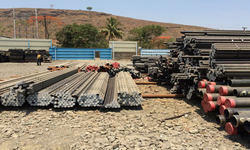 We are a leading Manufacturer of d2 tool steel bars, stainless steel alloys, copper alloys, aluminium bronze round bars, hidden bolt fasteners and fabricated pipe from Mumbai, India. D2 steel is an air hardening, high-carbon, high-chromium tool steel. It has high wear and abrasion resistant properties. 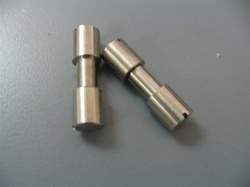 It is heat treatable and will offer a hardness in the range 55-62 HRC, and is machinable in the annealed condition. D2 steel shows little distortion on correct hardening. D2 steel’s high chromium content gives it mild corrosion resisting properties in the hardened condition. 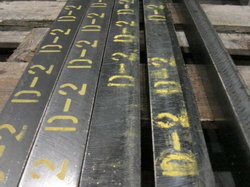 D2 steel is available from stock in flats and squares, hot rolled rounds, bright drawn rounds in imperial and metric sizes. There are more than 60 grades of stainless steel. Stainless steel alloy can be milled into; coils, sheets, plates, bars, wire & tubing. 301 Stainless Steel is austenitic chromium-nickel alloys, highly ductile for formed products, hardens rapidly, good weld ability, and better wear resistance and fatigue strength than 304. 302 Stainless Steel is austenitic chromium-nickel alloys and the same corrosion resistance as 304, with higher strength due to the addition of carbon. o	303 Stainless Steel is austenitic chromium-nickel alloys, free machining version of 304 via addition of sulfur and phosphorus. Also referred to as "A1" in accordance with ISO 3506. 304 Stainless Steel is austenitic chromium-nickel alloys, the most common grade; the classic 18/8 stainless steel. Also referred to as "A2" in accordance with ISO 3506. 304L Stainless Steel is austenitic chromium-nickel alloys, the same as 304 grade but less carbon to increase weld ability and slightly weaker than 304. 304LN Stainless Steel is austenitic chromium-nickel alloys, same as 304L, but also nitrogen is added to obtain a much higher yield and tensile strength than 304L. 308 Stainless Steel is austenitic chromium-nickel alloys, used as the filler metal when welding 304 o 309 Stainless Steel is austenitic chromium-nickel alloys, better temperature resistance than 304, also sometimes used as filler metal when welding dissimilar steels, along with inconel. 316 Stainless Steel is austenitic chromium-nickel alloys, the second most common grade (after 304); the addition of molybdenum prevents specific forms of corrosion. It is 316 used in the manufacture and handling of food and pharmaceutical products where it is often required in order to minimize metallic contamination. 408 Stainless Steel is ferritic and martensitic chromium alloys, heat-resistant; poor corrosion resistance; 11% chromium, 8% nickel. 409 Stainless Steel is ferritic and martensitic chromium alloys, the cheapest type (ferritic iron/chromium only). 410 Stainless Steel is ferritic and martensitic chromium alloys, wear-resistant, but less corrosion-resistant. 420 Stainless Steel is ferritic and martensitic chromium alloys cutlery grade with excellent polishability. 430 Stainless Steel is ferritic and martensitic chromium alloys, decorative, with good formability, but with reduced temperature and corrosion resistance. 601 through 604 Stainless Steel is martensitic low-alloy steels. 610 through 613 Stainless Steel is martensitic secondary hardening steels. 614 through 619 Stainless Steel is martensitic chromium steels. 630 through 635 Stainless Steel is semiaustenitic and martensitic precipitation-hardening stainless steels. 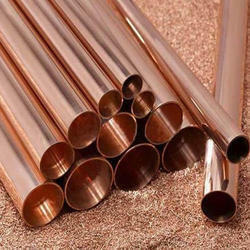 Type 630 is most common PH stainless, better known as 17-4; 17% chromium, 4% nickel. 650 through 653 Stainless Steel is austenitic steels strengthened by hot/cold work. 660 through 665 Stainless Steels are austenitic superalloys; all grades except alloy 661 are strengthened by second-phase precipitation. 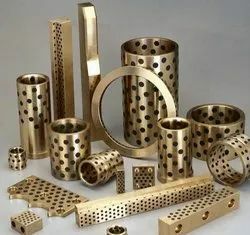 Alloyed CoppersAlloyed Coppers are hardened with small quantities of Cr, Zr, Be, Ni, with the aim of increasing strength without greatly reducing electrical conductivity. Length 2 TO 3 MTRS. JPM Stands guarantee for MATERIAL SPECIFICATION & Products will be Completely free from any types of POROSITY/BLOW HOLES. c) Quantity required per Consignment. 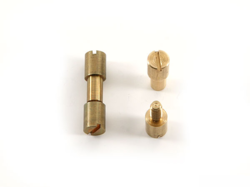 We are well-known and trusted firm in the industry for offering Hidden Bolt Fasteners. These product is available in a wide range of sizes. It is manufactured from finest quality basic material sourced from reliable vendors in the market. These products are inspected extensively for assurance of quality by a team of experienced quality controllers. Our clients can be avail these products from us at reasonable market price. We are among the trusted names in the market that are engaged in providing a wide range of Fabricated Pipe & Fittings Structures. Skilled professionals employ only superior quality allied material in the manufacturing process and also follow industry defined quality standards during the manufacturing procedure of offered products. Our offered structures are highly demanded across the market due to features of easy installation and cost effectiveness. Apart from this, we are offering our products at most economical price. Our Company is one of the remarkable organization for offering a wide array of Carbon Steel / Alloy Steel Seamless Pipes & Tubes to the customer. These products fabricated using superb quality production materials that are procured from registered and legal suppliers of the market. For the benefits of our clients, these products are fully tested by the quality detectors to ensure demanded quality. Moreover, we are offering these products at industry leading price. BS 3059, BS 6323, BS 3602, API5I, 5CT, 5DP etc. Stainless Steel Strips can be obtained , we are a renowned exporter & Supplier & stockist of Stainless Steel Strips with the comprises range. The strips designed by us are used in manufacturing industries as well as for packaging in heavy industries. These products are higly accepted by our clients. We provide an extensive selection of Stainless Steel Strips which have been known as well as desired for longevity, tensile durability as well as corrosion resistant functions. 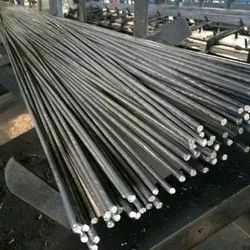 In addition, all of us carefully check each of our range at every single output level to ensure top quality at par while using the wanted requirements. The strips designed by us are used throughout manufacturing industrial sectors together with intended for presentation throughout major industrial sectors. 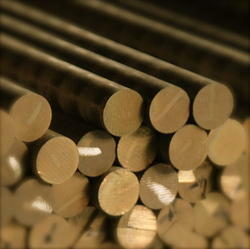 We have come with the Graphite Filled Bronze Bushes & Plates for our customers. These products are available in many different sizes. 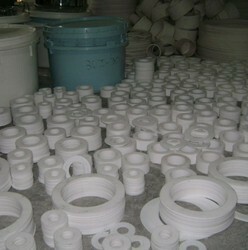 The offered product is manufactured as per the quality norms that is defined by the industry. Moreover, these are designed keeping in mind clients specific demands and their stipulations. Apart from this, we are offering these products at very reasonable prices. Looking for Tungsten Electrodes ?